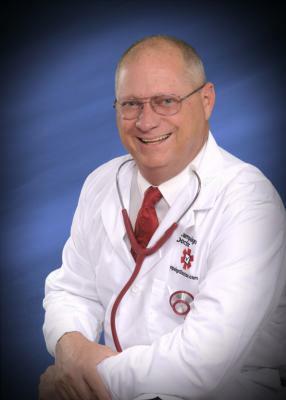 My name is Chuck Muth and I’m known as “The Campaign Doctor.” Yes, I’ve given myself that illustrious name – which is driving some in the medical profession absolutely bonkers! I’m the son of a Baltimore City firefighter and stay-at-home mom. My dad went to night-school to get his college degree… then served four years in the Maryland House of Delegates. And my kid brother once worked for a U.S. congressman. So politics runs in the family. I’m also the president of a non-profit grassroots lobbying organization called Citizen Outreach – which nine years ago I took from zero to over $1 million in revenue in less than 18 months! Oh, and I’ve been blogging since long before the term “blogging” was even invented. Muth’s Truths is the #1 conservative political/public policy blog in Nevada. And Citizen Outreach’s Nevada News & Views newsblog is the #1 portal for other conservative bloggers, commentators, columnists and citizen journalists in the state. accidentally got myself elected chairman. But I knew my limitations. by Newt Gingrich and his top political strategist, Joe Gaylord. But I knew my limitations. evening. We’re talking 7:30 a.m. until 10:00 p.m. – plus homework! Shelly Kamins, Mary Heitman, Jack St. Martin and Evelyn McPhail. BIG money fundraising: Major Donors, Finance Committees, Events and Direct Mail. REALLY run a WINNING campaign. it’s another thing altogether to learn from actually doing it. Democrat Minority Leader in a district with a 3-1 Democrat voter registration advantage. a bunch of inexperienced candidates and teach them what they should be doing. To make a long story short, as expected, I lost in November. National Committee, GOPAC and the Leadership Institute, as well as many on my own.